The 8 Best Bagel Shops in Mississippi! A bagel is the perfect breakfast food. It's comforting and convenient, and can be enjoyed plain, loaded down with cream cheese and jam, or made into a sandwich. No matter how you like your bagel, these are the eight best places to find one in Mississippi. Einstein Bros is the ultimate bagel destination. They bake everything fresh each morning, and their bagel options range from chocolate chip to green chile and everything in between. Customize your choice with a Shmear, which they offer in both sweet and savory, or order one of their signature sandwiches, available on your choice of bagel. Beagle Bagel has been serving handmade bagels for 20 years. In addition to their gourmet bagels, which include Cinnamon Crunch, Black Russian, and sundried tomato, their chicken salad is the stuff of legend. And with several locations around the state, there's sure to be one close to you. Popular among students from the nearby University of Southern Mississippi, Southbound Bagel is making a name for itself for being a cool hangout as well as a place for a great bagel. Top the bagel of your choice with everything from lox to peanut butter and jelly, then make yourself comfortable and stay awhile. At City Bagel Cafe in Starkville, bagels are made fresh throughout the day. And don't worry about getting shorted on the toppings: buy your cream cheese, lox, or deli meat by the pound (or half-pound if you prefer). If you're in the mood for lunch, try a pizza bagel! If you live in the Delta and you're looking for a great bagel, drop by the Cleveland Farmers Market to try Big River Bagels. The Chocolate Crunch Bagel is worth the trip. If you can't make it, drop them an email and they'll take custom orders, or keep an eye on their Facebook page for pop-up sales. This charming little cafe serves freshly baked goods to local University of Mississippi students. 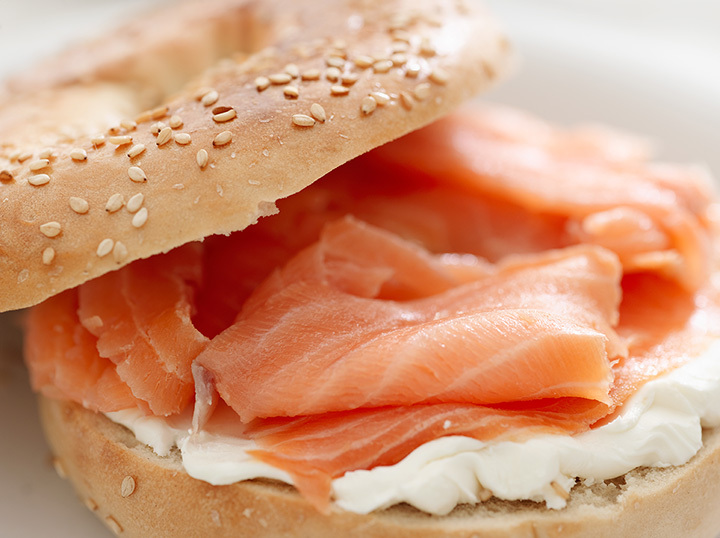 Choose between their deluxe bagels, The Downtown, with cream cheese, tomato, red onion, and capers, or The Uptown, which is almost the same but with smoked salmon cream cheese instead. The Grind Coffee & Nosh is cool hangout in Biloxi where you can get a great bagel while having a cup of specialty coffee. Where else will you find a cozy spot with fireside seating while you eat your breakfast? One visit to The Grind and you'll want to come back every day. By The Slice is tucked away on Pass Road in Gulfport, but once you discover them you'll want to grab a bakers' dozen of their treats every time you have a breakfast meeting. In addition to their assorted bagels, choose from muffins, breakfast sandwiches, omelets, and even a breakfast casserole.